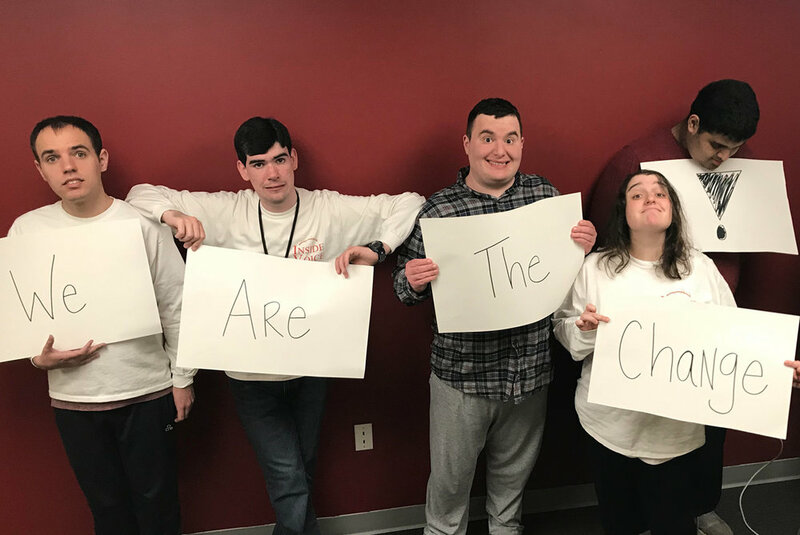 AALIVE is a grassroots organization whose mission is to offer socialization and awareness opportunities to enhance the lives of our adult special needs community. Our common purpose is: AALIVE creates smiles through acceptance and kindness. Over the past 11 years we have changed many lives & created more acceptance than we ever thought imaginable! Check out our limited edition Jason Kelce T-shirt supporting our A.A.L.I.V.E. mission. Inside Voice is an A.A.L.I.V.E. supported program that provides the Spelling to Communicate method to non-speaking autistic adults in the Philadelphia area.